OBA is a national leader in outdoor education. Its programs have been adopted as models by outdoor agencies nationally. It has received such prestigious awards as the National Mosaic Award given to organizations that facilitate opportunities to urban youth of color through meaningful environmental and advocacy programs. 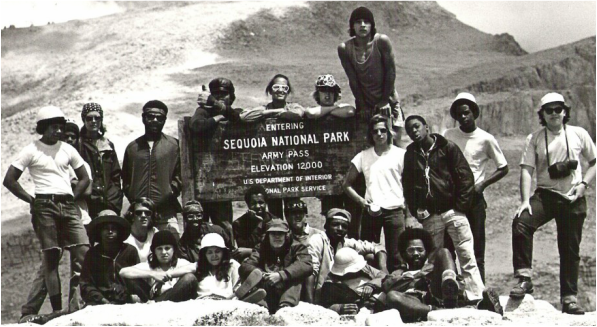 Since its inception, OBA has profoundly impacted the Southern California community, helping approximately 70,000 urban children, young adults and families identify new vistas for their lives by gaining effective leadership skills and personal confidence through challenging outdoor trips to excel in their urban environment. In fact, many OBA alumni that have achieved notable career success attribute OBA’s programs as a driving force behind their professional advancement. Furthermore, the positive legacy of OBA’s impact on youth is long standing as many of our participants later become dedicated OBA volunteers, trip leaders, and mentors to those who follow. In 1959, Helen Mary Williams, then a teacher at Cleveland Elementary, the Pasadena school attended by baseball legend Jackie Robinson, and an avid outdoorswoman, recognized that her students could benefit from time spent away from the city. With the support of several parents, she began an afterschool Junior Audubon Society club. Mrs. William’s students were primarily African-American, Asian, and Hispanic youth from economically disadvantaged families. Community interest in the program grew and in 1962 the Junior Audubon Club formally changed its name to Outward Bound Adventures and two years later officially incorporated as a nonprofit organization. By 1966, OBA expanded its service area beyond Pasadena to include Watts and much of Los Angeles County. From this simple beginning, OBA has evolved into a nationally recognized organization that uses the out of doors to educate youth and families about the environment and stewardship, promote self-development and provide outdoor career exposure to urban youth. 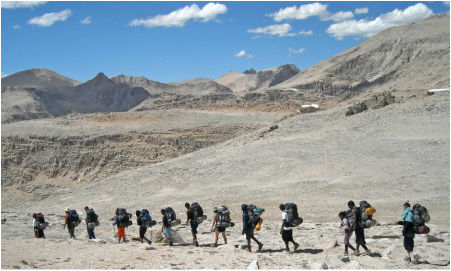 OBA has profoundly impacted the Southern Californian community, helping urban children and young adults identify new vistas for their lives by gaining effective leadership skills and personal confidence through challenging outdoor excursions.